Harry Bright played 64 games for the Yankees in his career and was known more for his extensive minor league career — 14 different clubs, a near-.400 season and 1,752 career hits. Bright played every position except pitcher and shortstop as a major leaguer, and played third base, right field and first base for the Yankees. 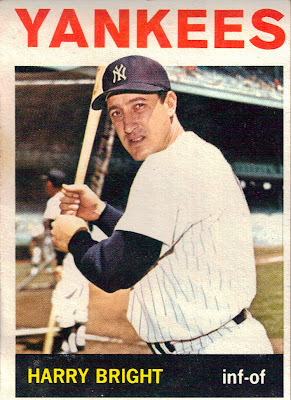 He had two at-bats in the 1963 World Series, but struck out both times.